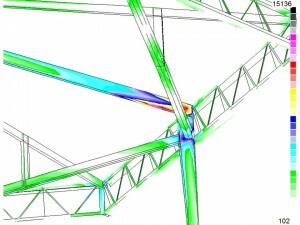 The hangar steel structure displayed below was analyzed using LEI’s finite element modeling software, as well as the MSC/NASTRAN finite element solver, of which LEI owns a full-capability license. 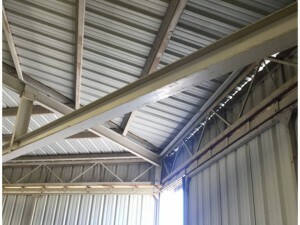 This analysis was performed at the request of the hangar owner to ascertain if additional display aircraft could be hung from the rafters without jeopardizing the hangar’s integrity. 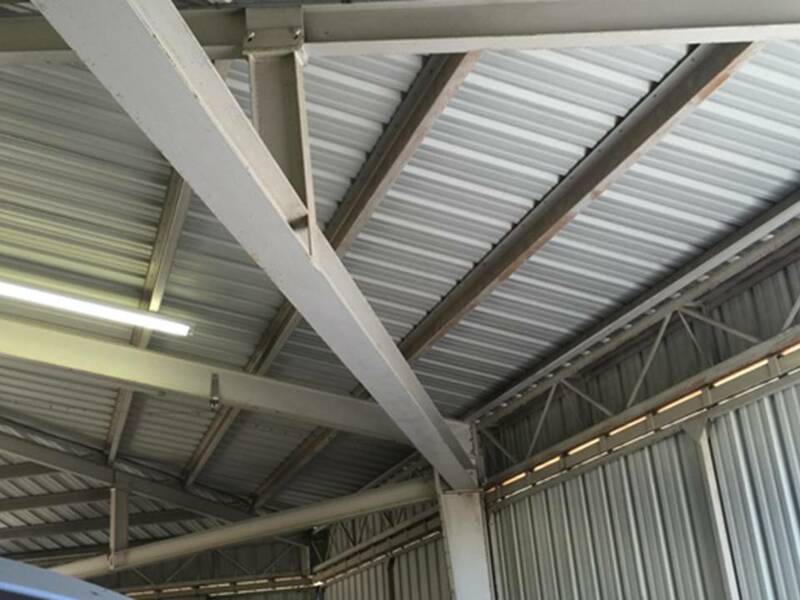 After visiting the hangar, structural features for the beams were recorded. 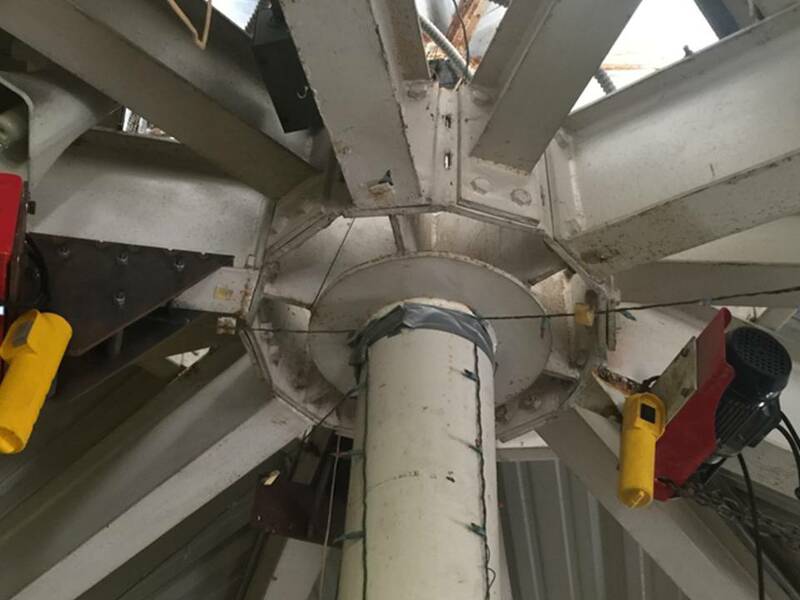 These features include beam span lengths, beam depths, and flange widths and flange and web thicknesses. 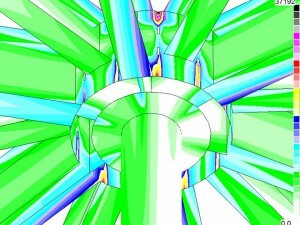 These features were used in creating a three dimensional geometry, referred to as a finite element model. It should be noted that the reason for resorting to a complex finite element analysis solution, is that the hangar beam structure is highly redundant. As an example, an individual beam could be analyzed using long-hand methods if assumptions are made as to the end fixity of that beam. 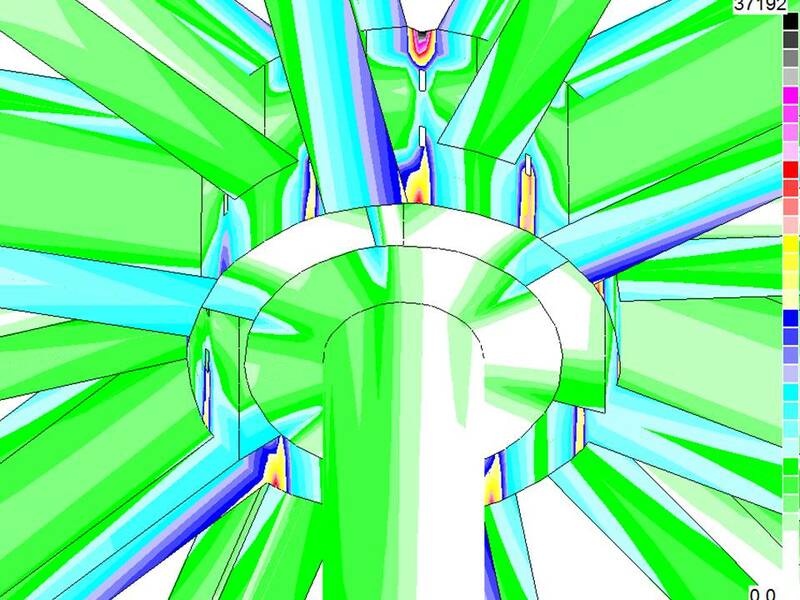 A redundant finite element analysis resolves such concerns without guess work. A simpler approach than the one taken in this report, would be to model each structural components as beam elements, and then inserting the cross sectional properties such as area and moments of inertia. This results in manual work computing these properties, or utilizing tabulated values. After solving such a finite element model, often referred to as a stick model, internal axial, shear and moments would need to be manually translated into bending and shear stresses. By taking the approach presented in this report, modeling explicitly each members geometry and thicknesses, the end result is actual stress levels. 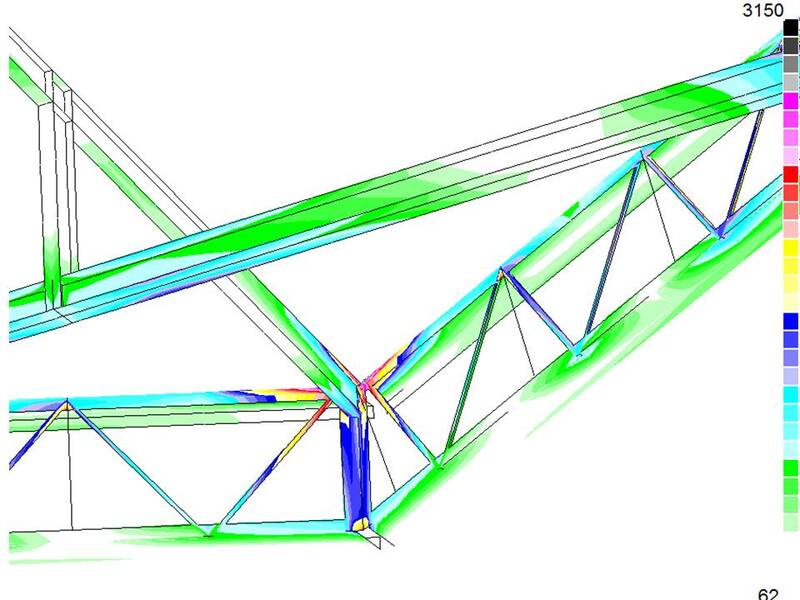 By including all applicable thicknesses the resulting finite element analysis solution provides internal stresses that can be compared with material allowables. Before actually solving the model for stresses, displacements and reactions, a number of so called unit load cases were conceived. These unit cases were then combined into Analysis Conditions. The analysis conditions include the effect of the hangar structure weight, the airplane weights, seismic loading, live roof loading, and wind loads.